Football season is finally over, and that is always a bit saddening, but at the same time great as that indicates that we are closer to nicer weather. Game day was always a fun time for us. 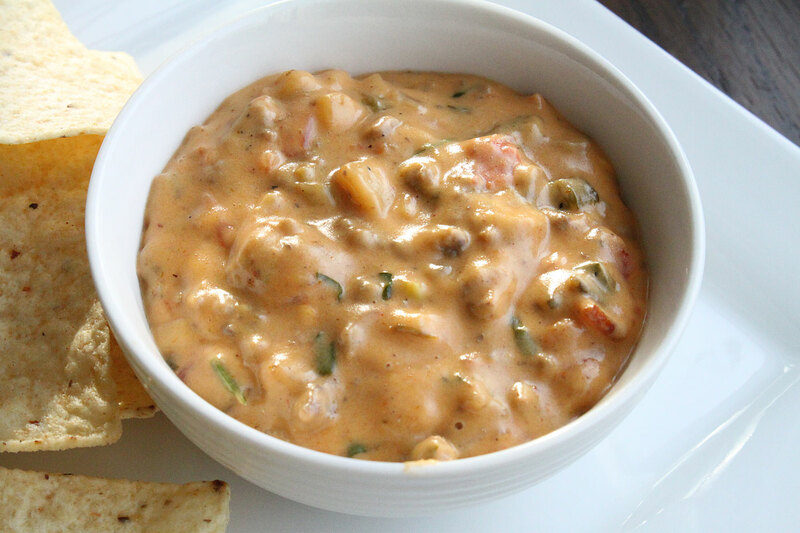 I always made some pretty comforting food, and one of the simple things I make is a simple cheese dip, or what I simply call queso. It is so basic, but everyone always loves it. Simple Velveeta cheese, yes, I go there, and a can of ro-tel. Yes, it doesn’t get any easier than that. It is not the prettiest of dips, but it very well could be one of the better dips I’ve created. Start by preparing your ingredients. Roast the chili peppers in a preheated 400 degree oven for about 20 minutes, or until the skin begins to char. Once charred, place them in a sealable bag, and let them steam. Remove, then carefully peel off the exterior of the skin. Discard, then slice open, remove seeds, and chop. Set aside. When everything is cooked, add the cheeses to a large mixing bowl, and toss in the corn starch to lightly coat the cheese. This helps stabilize the sauce. Get a medium sized pot on the stove, on medium heat. Add the remaining ingredients, with the exception of the tortilla chips, and stir, cooking on a medium, to medium-low heat until the cheese is fully melted and everything is warmed through. The end result is something out of this world. It is everything, and more, of what you would expect with a loaded bacon cheeseburger, but in dip form. The danger here is once you start, it’s hard to stop eating this. Fortunately I was able to walk away from the bowl, realizing I was making this for my wife, and the party. If you are looking for a fun dip to make, just for your friends and family, or any party, give this one a shot. 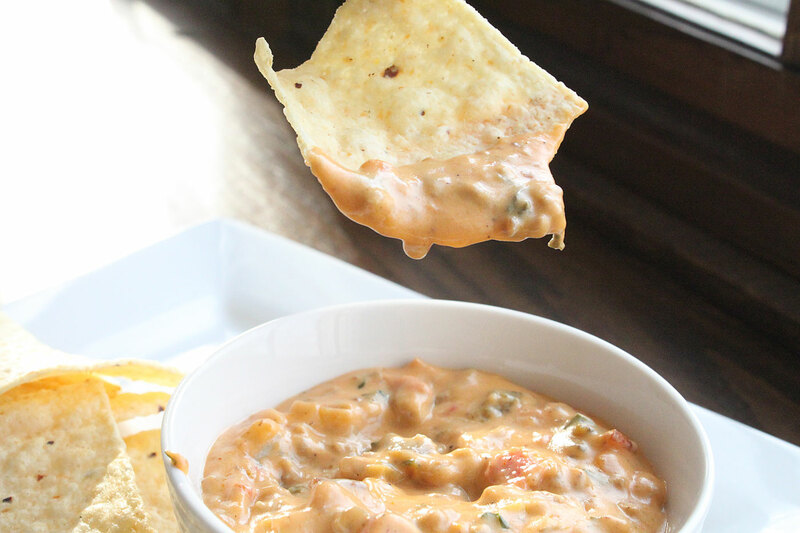 That definitely looks like a very comforting dip…yummy! WHOA. That’s decadent. My dad would enjoy this one!